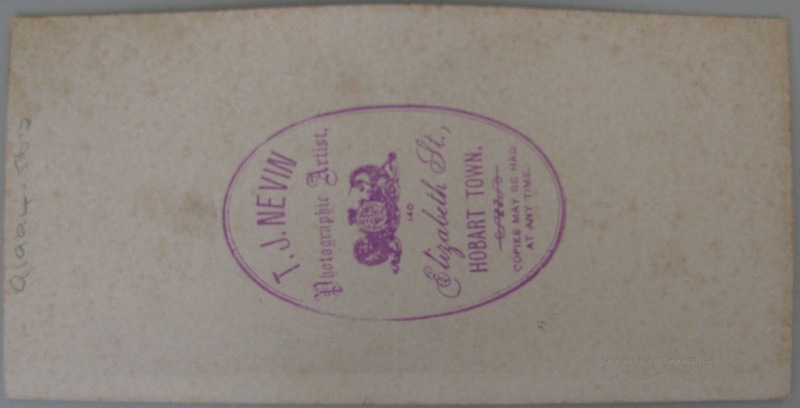 Thomas J. Nevin's photographic commissions to provide documentary records for the Colonial Government's Lands and Survey Department, date from the late 1860s while operating from his commercial studio at 140 Elizabeth St. Hobart. Nevin's next commission from ca. 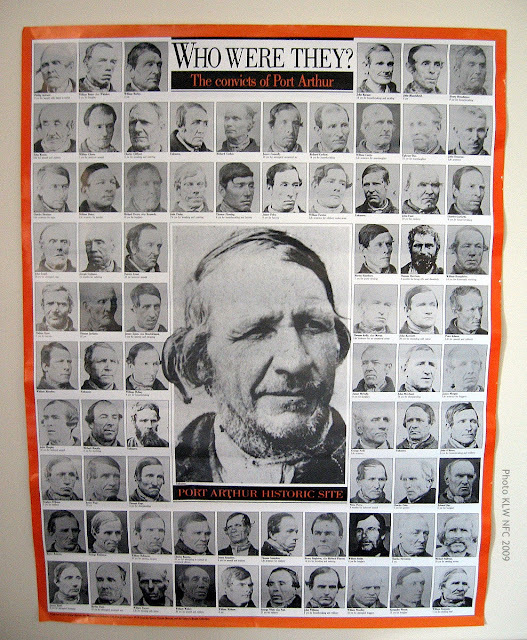 1873 onwards was to provide prisoner identification photographs (mugshots) for the Prisons Department, Municipal Police Office, Hobart Town Hall and Hobart Gaol, which was also funded through the Hobart City Corporation's Lands Department (Treasury). 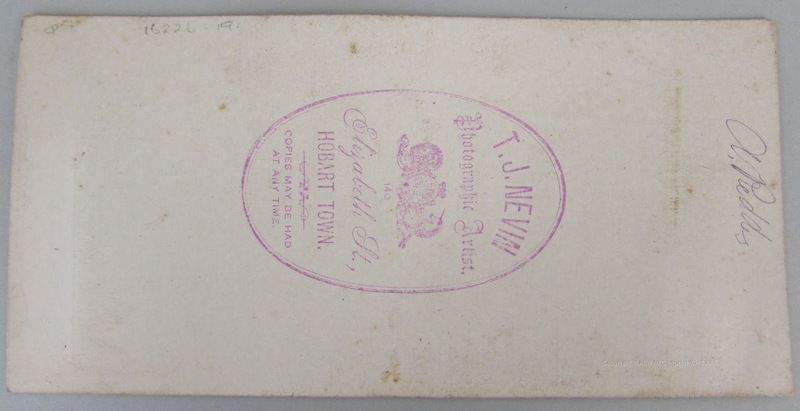 All of Nevin's extant photographs bearing the Royal Arms insignia stamp were paid through his Lands Department contracts. 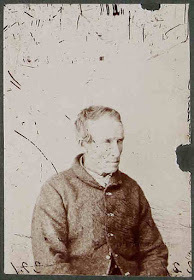 Several prisoner photographs bearing this particular stamp were used to register joint copyright with the government (one sample per batch per year). Several extant portraits of HCC officials, their wives and children, all bear this Royal Arms insignia, for example, those of Constable William McVilly's children, Laura and John. 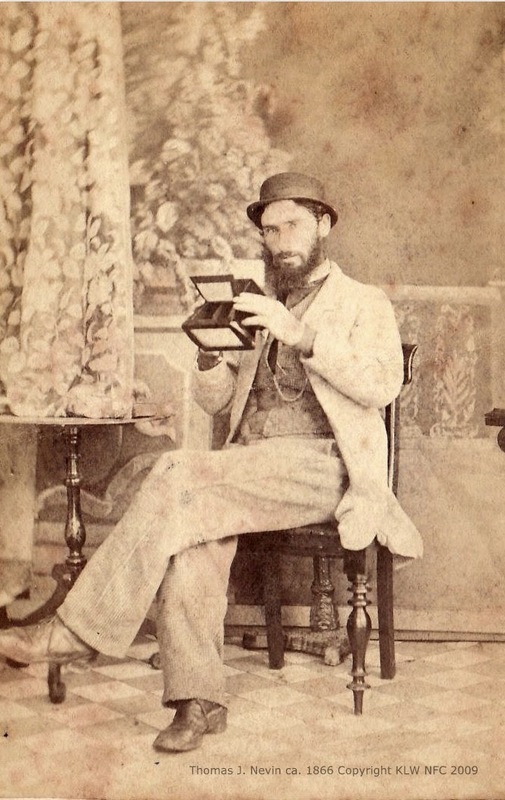 Thomas Nevin's personal relationship with Lands Dept surveyor John Hurst, son of James Hurst who held the lease of the Salt Water Coal Mines on the Tasmanian Pensinsula until his death in 1876, extended to signing the birth registration of William Nevin Tatlow Hurst,John Hurst's son, as informant at Hobart on 22nd May 1868. 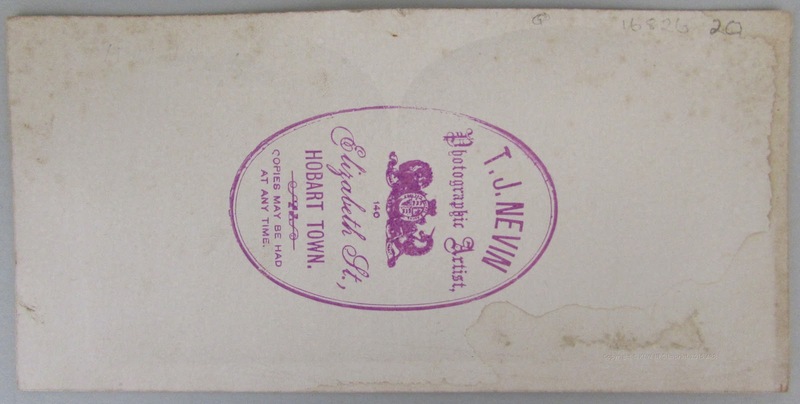 On the verso of the river scene below is inscribed the name of Alfred Pedder, son of Nevin's colleague at the Municipal Police Office, Hobart Town Hall, Police Superintendent Frederick Pedder. Presumably, the cost for these portraits was funded jointly by the HCC and the families. 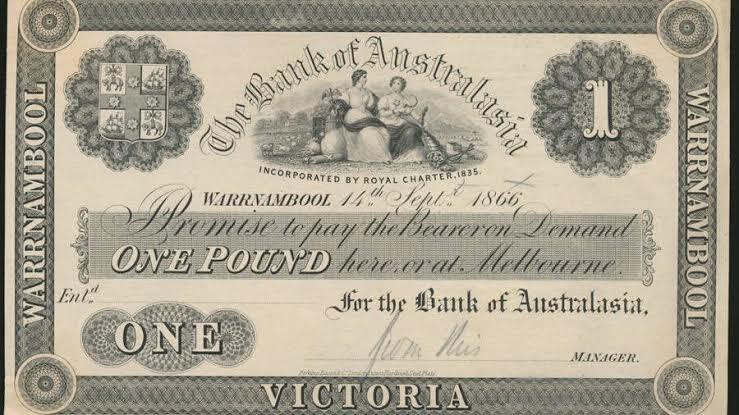 Thomas Nevin was still being paid by the Lands Department in 1880 (Municipal Fund), by then receiving a full-time salary as a civil servant for the four years he served as Hall and Office Keeper of the Hobart Town Hall. 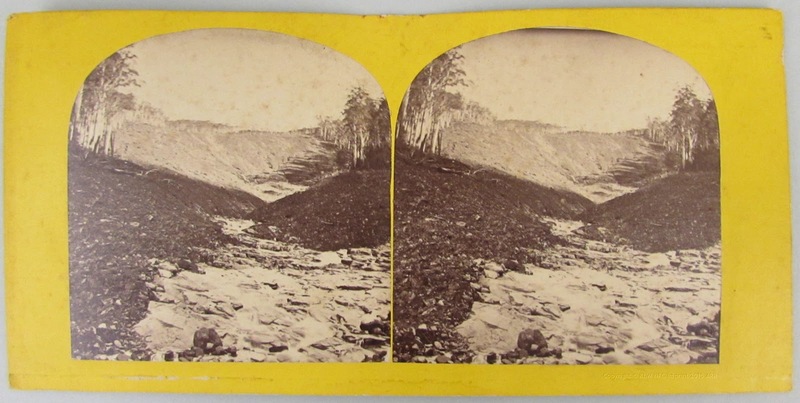 The Lands and Survey Department wanted these photographs, printed for depth of field effect as a stereograph because they would have conveyed important information about rainfall, the water course in the location, and soil erosion. The verso stamp on the first is one of cleanest to have survived. 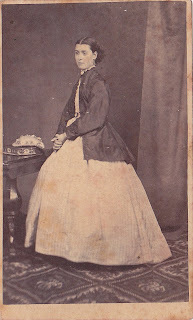 Its brightness can be attributed to the albumen paper Nevin used for this series, unlike the salt paper he used for many of the earlier commercial stereographs which absorbed the image, rendering it soft and fuzzy over time. 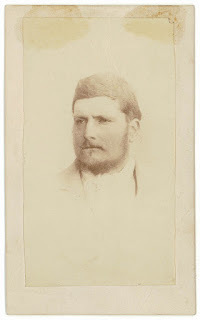 Pencil inscription verso "A. Pedder". Another vista of this river, ca. 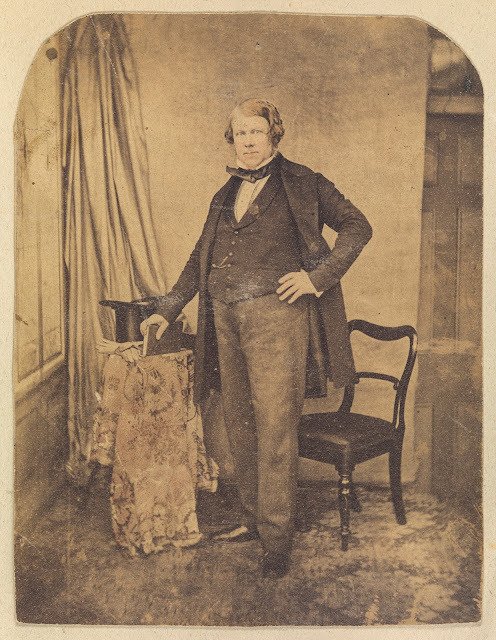 1870, attributed to Nevin's friend and collaborator, Henry Hall Baily, was taken from a slightly closer spot along the river bank across to the hotel. 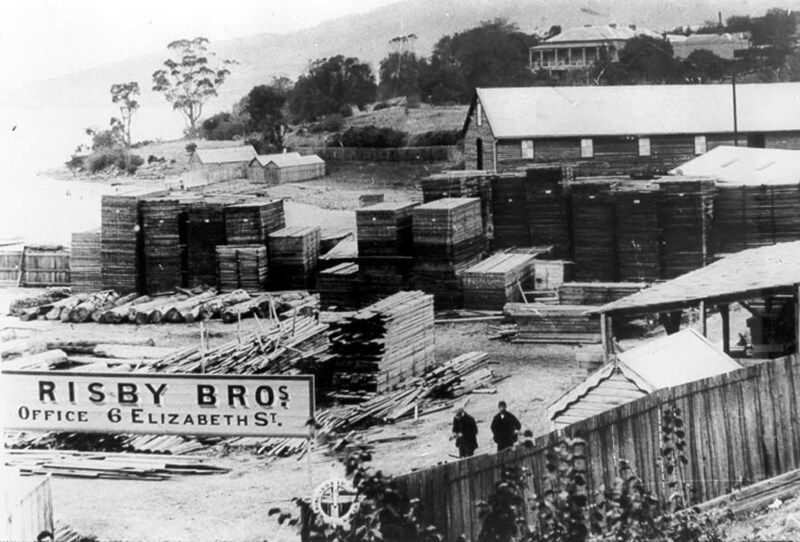 The location is now called Huonville, the name finally gazetted as a town in 1891, but known as both Victoria and Ranelagh from first settlement by the Walton brothers in 1839. 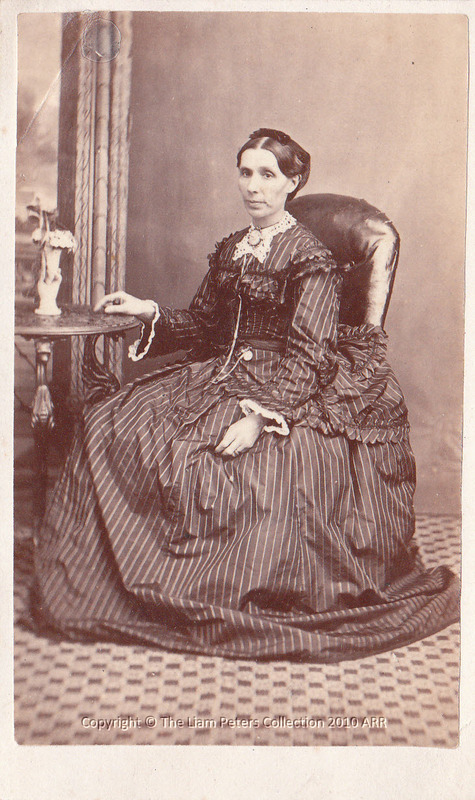 A coach service was in operation by 1869. 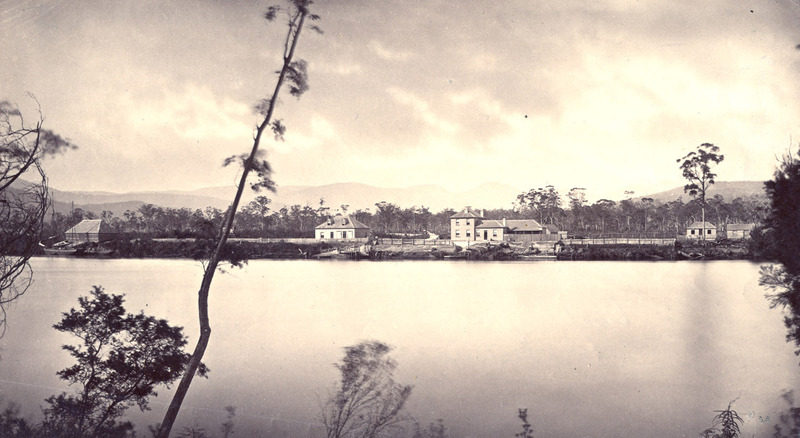 Photograph of Victoria, Huon, Tasmania c. 1870. 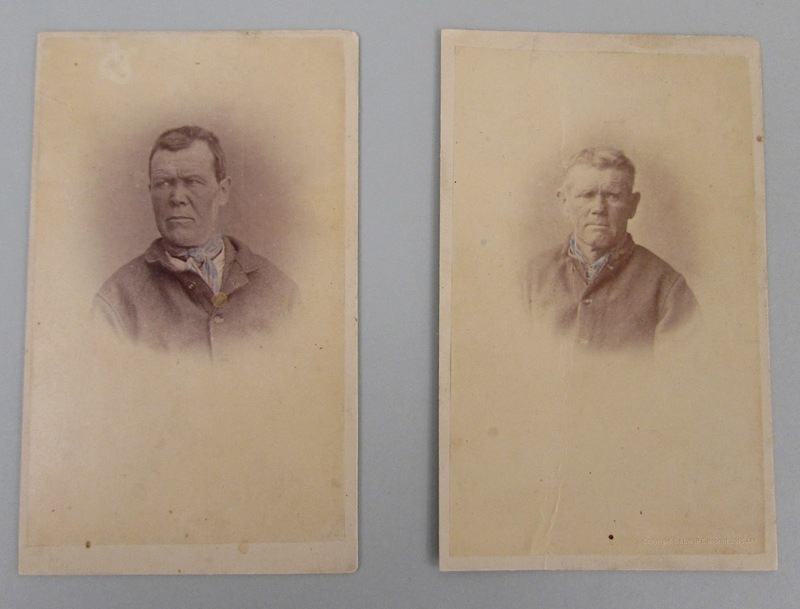 Two different stereographs taken on the same day, possibly only minutes apart of a group of men who could have been surveyors on government business, given Nevin's government stamp on the verso of the group of five portrait. 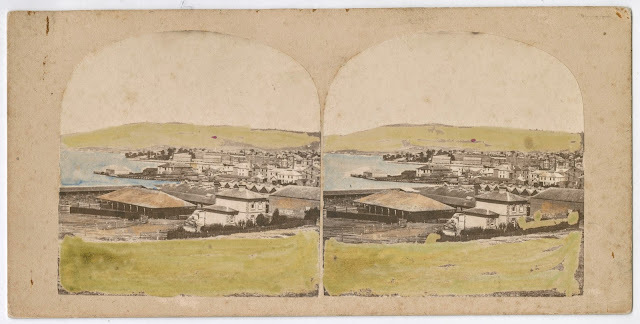 The TMAG has identified the location as the Salt Caves, at the town of Victoria (also called Ranelagh, now Huonville), in the Huon Valley, 38 km south of Hobart Tasmania. 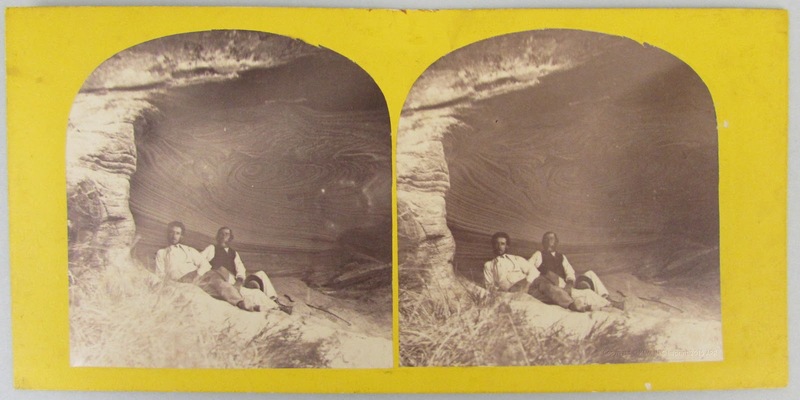 The first shows five men in supine poses leaning against the entrance to a cave; the second shows two men posed in similar fashion in another spot within the same cave location. 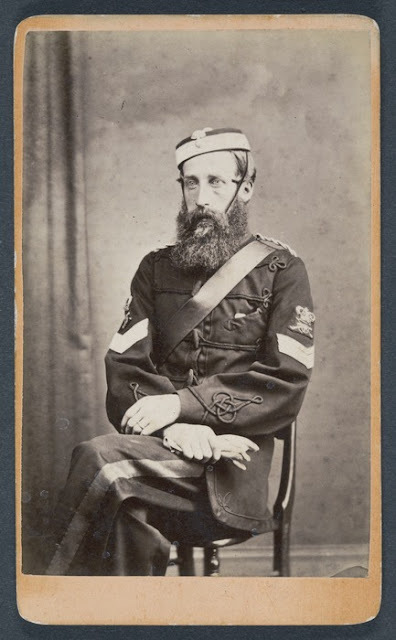 The first, with five men, bears Nevin's Royal Arms insignia stamp, the second showing two men, does not. 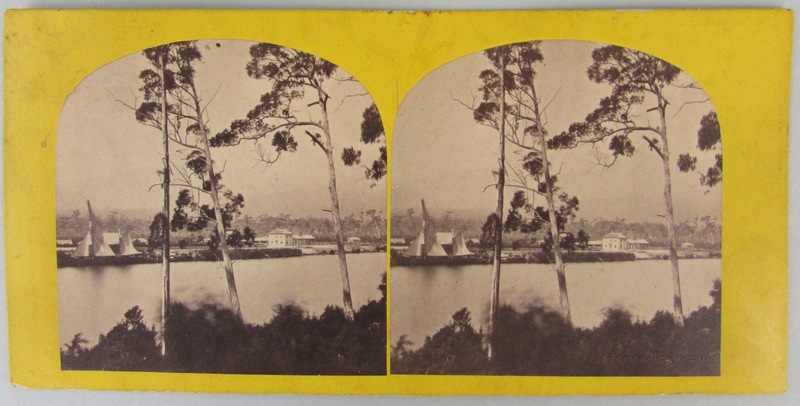 The blank verso of the second stereograph with two men indicates that Nevin used the first, the group of five men, to register the stamp, and the second was supplied as a copy for the same commission fee. 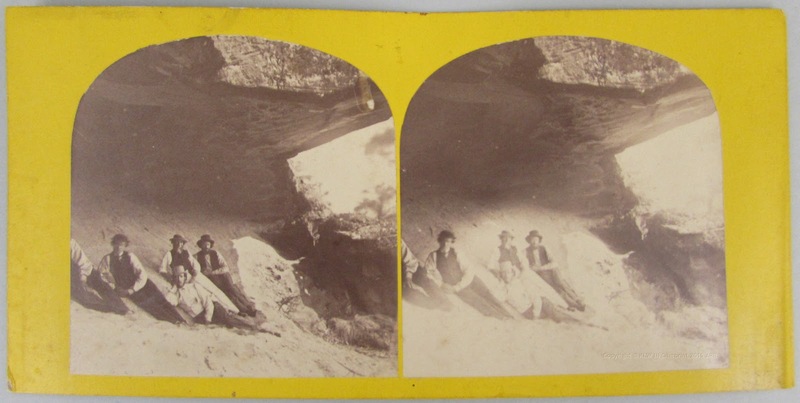 Inscription: "Salt Rock Cave, Victoria, Huon"
Q16826.14 ITEM NAME: photograph: MEDIUM: albumen silver print sepia toned stereoscope, MAKER: Thomas Nevin [Photographer]; TITLE: 'Salt Rock Cave Victoria Huon' DATE: 1860s DESCRIPTION : A shot of five men inside the entrance of Salt Rock Cave INSCRIPTIONS & MARKS: T.J. Nevin Photogrpahic Artist 140 Elizabeth Street Hobart Town. Copies may be had at any time. 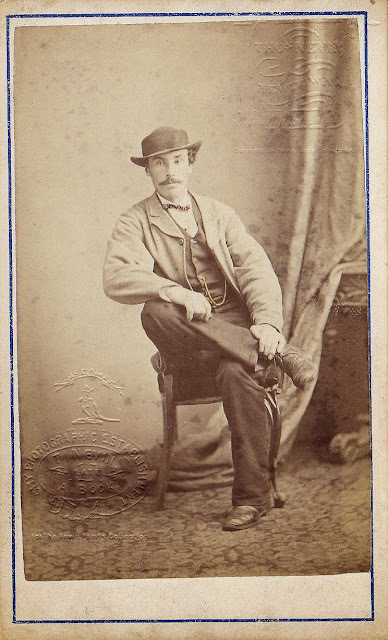 Verso is blank, with inscription: "1860s,Salt Rock Cave"
An employee of the firm Murchison, Lyell, and Co. who signed the following article simply S. H. W. was probably a geologist with an extensive knowledge of botany and fossils. This account of his trip to the Salt Caves, published in the Mercury, 12th May 1871 mentions only one companion. Readers are warned that phrases pertaining to Aboriginal people may cause offense. THE SALT CAVES AT THE HUON. 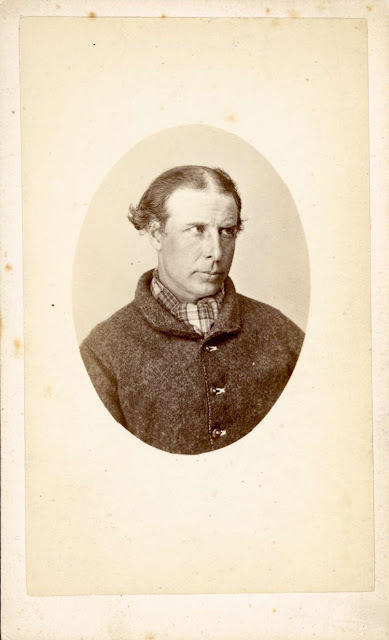 Although my rambles on high days and holidays, on behalf of the firm of Murchison, Lyell, and Co., have not been few - although I have boxed nearly all points of the compass from Hobart Town, still, by some peculiar combination of circumstances, I never saw the River Huon until a few days since, nor had I the remotest idea that the district could boast of formations having so much geological interest attached to them. 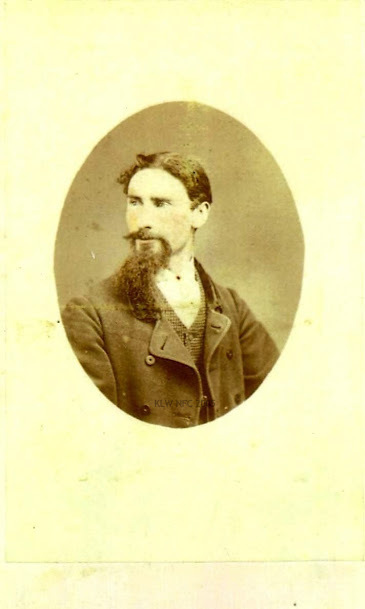 My attention was especially directed to that quarter by a gentleman (who is in the habit of going there very frequently on business) showing to me a piece of salt of remarkable purity, which he said he had obtained from a cave in some high sandstone hills near the bank of the river. What, however, seemed to be of greater importance in his mind, was the existence of a " large fossil bone of some huge animal, pro- jecting from the sandstone in one of the smaller caves." Having reason to believe that palaeozoic formations occupied that part of the country, I was sceptic enough to treat this statement of the huge fossil bone with indifference, remembering how a geologic observer illustrated on a memo- rable occasion at a meeting of our Royal Society, the character of the conclusions arrived at by tyros in geology, by a story of a petrified black-fellow's head, and which supposed head was nothing more, if I remember rightly, than a concretionary mass of ferruginous matter. Not seldom have I been decoyed into hunting shadows in these respects. One time it was a gigantic fossil fern, eight feet high, in sandstone, and which turned out to be iron dendrites, common as ditch water is in Liverpool and Collins streets. At another time it was a perfect fossil fish in a huge block of stone, which proved, after a walk of upwards of twenty miles, to be an accidental stain in sandstone, caused by the presence of oxide of iron. 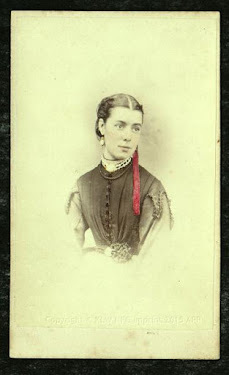 It is worthy of remark parenthetically, that not a single icthyolite has yet been found in Tasmania, while the veteran geologist of N.S.W., the Rev. 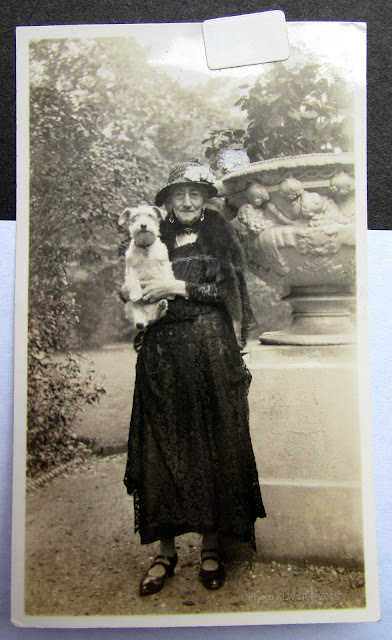 W. B. Clarke, has discovered many in that colony from time to time, some of which I have in my collection from his cabinet. 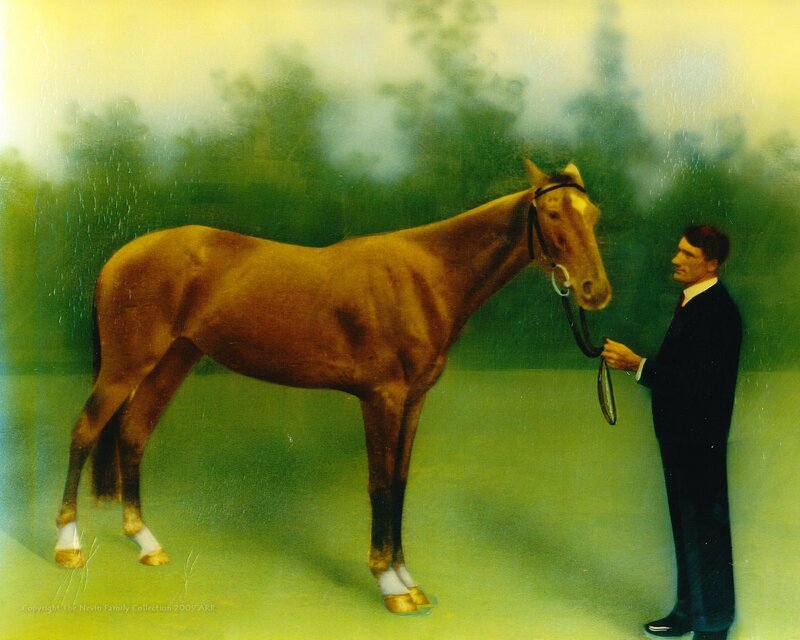 On another occasion it was nothing less than the " thigh of a blackfellow," weighing ovor a hundredweight, which the finder carried on his shoulders five or six miles. This came out to be a tubular con- cretion of iron and sand without any organic structure whatsoever. 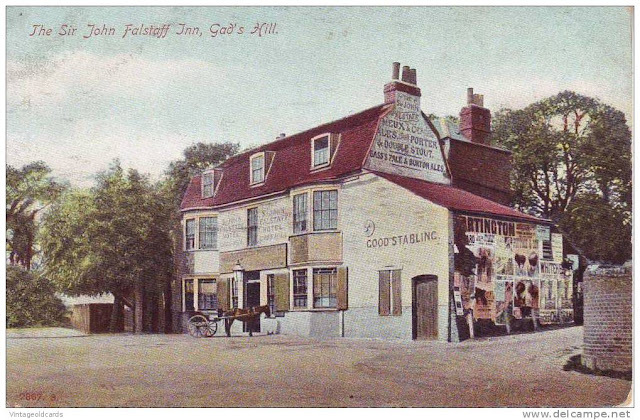 The proprietor, how- ever, is happy in the belief that he knows better, and he never loses an opportunity of drawing attention to the petrified blackfellow's thigh. Thes things will be despite philosophy, or common sense. On Good Friday last I started with my friend for the Huon. The cuttings on the road side afford, occasionally, some very good vertical sections of the rocks. 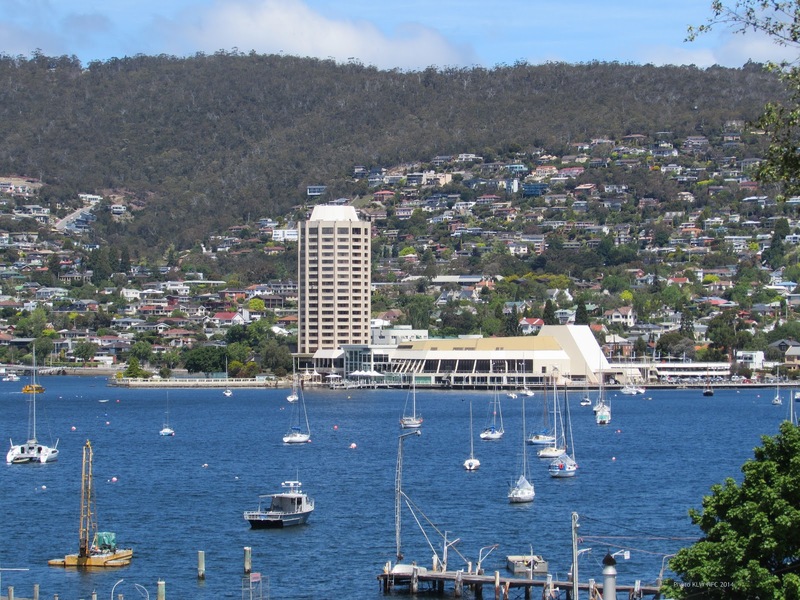 For a distance of about five miles from Hobart Town, the rocks ex- posed by the roadside consist of mudstone, often appearing as a conglomerate, limestone, and claystone, the latter being darker in colour than that which is so well exposed by the Richmond roadside and at the Bridgewater Causeway, and, like those examples, appears to be barren of fossils, while the mudstone and the lower limestone teem with them. The remainder of the road to the Huon is occupied by sand- stone, which alternates frequently and abruptly with greenstone and basalt, the latter rock in one or two instances appearing as dark, augitic basalt. I was much struck with the character of the country traversed by the road, the lofty hills densely timbered with wonderfully gigantic trees being every now and then intersected by the beautiful fern tree gullies. It was dusk when we arrived at the Picnic Inn, but there was sufficient light to show me that I stood on the bank of a magnificent river. Leaving the dog-cart at the inn, we stepped into the punt, taking the horse with us, as my companion observed, to pilot the way to our destination, which is distant about one mile and a half from the ferry, and reached by some rather intricate paths ; and well did the tired and intelligent creature perform the task, being entirely left to his own judgment, and without making a single mistake, although it was quite dark before we had gone half the distance. Shortly after we left the ferry, while yet there was sufficient light to enable us to discern large objects close at hand, my companion directed my attention to a high wall of rock, which skirts the river bank on the Franklin side. "That," said he, "is where the salt caves are." I could see a long line of almost vertical cliffs, with trees growing over the very edge. As we threaded our way along the base of this stupendous natural masonry, with the calm, bright river flowing noiselessly along on our right hand, and reflecting the few stars that were visible, with scarcely a breath of air stirring, I was impressed with a strange sense of wild weirdness in the scene, which, I might say, almost amounted to a pleasing oppression. When we had gone about a mile, and were ascending a gentle rise, I observed to my friend that we were walking over quartz, although none was visible. He seemed to think it strange that anyone should be able to arrive at that fact without seeing the stone. 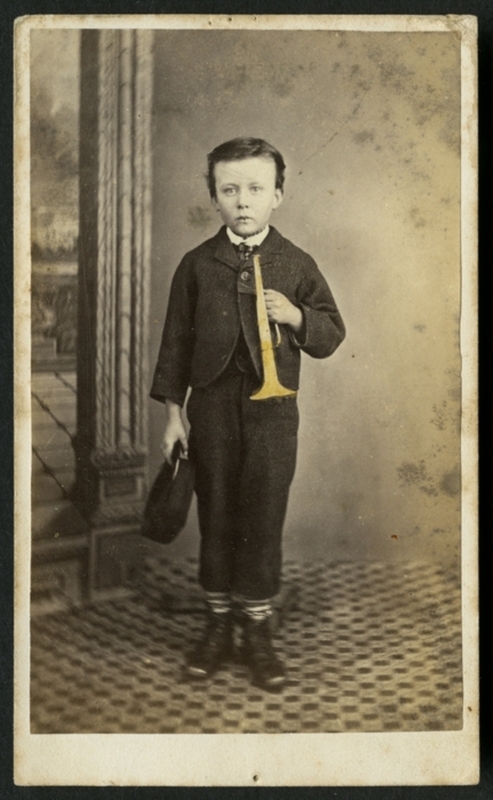 He was soon, how- ever, made aware of the secret. I had reason to regard it as drift, and such it turned out to be. On the following morning at an early hour we started for the caves, my guide taking up a track that crossed a steep hill, which is bound on the south-eastern side by the sand- stone cliffs. On the top of this hill I found a crescent shaped plateau, with a slight depression in the centre, and which bears the name of Skinner's Basin. It had been under cultivation not long ago. Although, I am pretty well accustomed to mountain climbing, I looked at the high cliffs, which rose abruptly before me, and which seemed almost to overhang, with some doubt as to the possibility of scaling them from that point, but my guide informed me that it was the only point at which they might be said to be accessible. I regarded the northern escarpment of Mount Falkner, by which route I first visited the Bone Caves, as a perilous ascent, but I am bound to admit that scaling these cliffs is still more so. 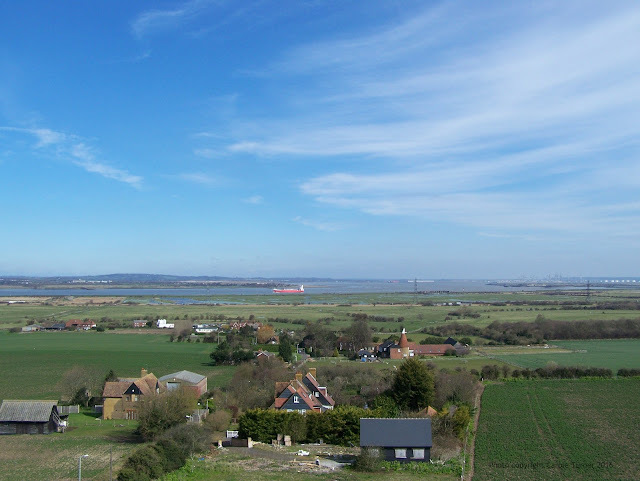 However, we gained the top in safety, and were, rewarded by looking from thence on a landscape of surpassing beauty. There meandered the river through broken rock-work, and tree-fringed level banks. 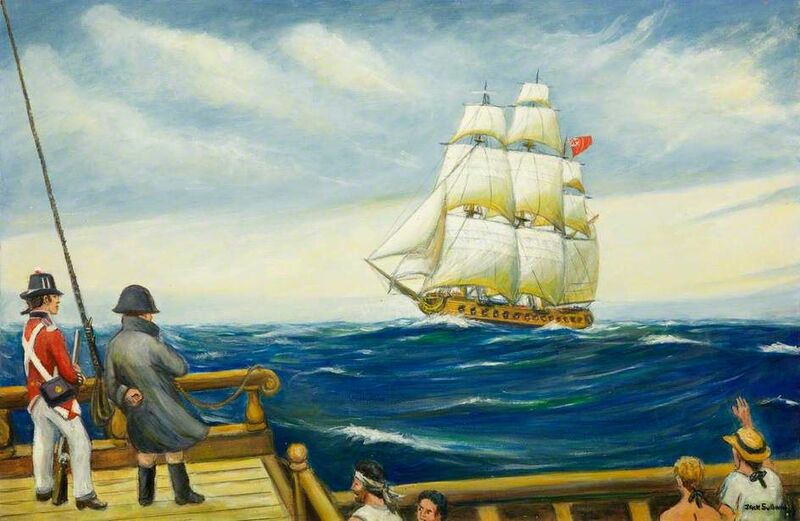 In the distance rose the Huon Belle, a mountain that owes its name to a fancied resemblance in its outline to some Titaness stretched supine, gazing heavenward. Wherever the eye wandered from this point it was met by earth- billows thickly clothed with trees. After walking over the edge of these cliffs for about half a mile, my companion directed my attention to a projecting mass of sandstone, fully thirty yards below where we were standing. "Under that," said he, "is the 'salt cave.'" I quickly saw that, in order to reach it, a task of no easy matter, and one that was not unattended with danger lay before us. While scrambling down the almost vertical face of the cliff, grasping anything that was within our reach, my courage, I must con- fess, on one or two occasions all but forsook me ; for, on looking down the precipice, I became painfully conscious that one false step, one slip would be followed by a heavy dull thud, darkness, and oblivion. We, however, reached the cave without any such catastrophe, and I was amply rewarded for the risk run, and its attendant labour. 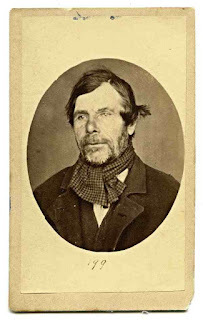 I found my- self in a cavern about fifty feet wide at the en- trance, twenty feet long, while the roof, which is dome-shaped, is about twelve feet high at the mouth. The floor slopes upward at an angle of about 35°, and reaches to within two feet of the roof, at the back of the cave. The sides and roof of this cavity are covered with fine incrustations of salt, perfectly white, but it is on the floor where the mineral is deposited in the greatest quantity. The roof over the entrance presents a most beautiful appearance, being weathered into the most exquisitely delicate stone tapestry. It required no stretch of the imagination to see miniature castles and cathedrals, pillars, and pilas- ters, architraves and cupolas, grottoes and labyrinths in this example of natural sculpture. The lower part of the floor was covered several inches deep with loose sand, produced by the disintegration of the sandstone, and it was under- neath this that we found the thickest deposit of salt. The mineral had a highly columnar, or acicular structure, and required considerable force to detach it from the sandstone, portions of the latter often coming away with the incrustation. Upon a qualitative analysis being made of this product by an able friend of mine, it was found to consist of chloride of sodium, potass, and lime. The whole of this sandstone formation is impregnated more or less with the salt. Where the rock has not been acted upon by atmospheric agencies, it is very hard - the hammer rebounding as from a crystalline limestone. There are several caves of various dimensions in the face of the cliffs, some being inaccessible. On our return my guide conducted me to the small cave, containing the huge " fossil bone." This supposed organism I found to be none other than a portion of the rock which had been weathered into a sub-globular form, and which stood out in full relief from the wall of the cavity. Were it a fossil bone, it would exceed in bulk the largest bone of the megatherium. 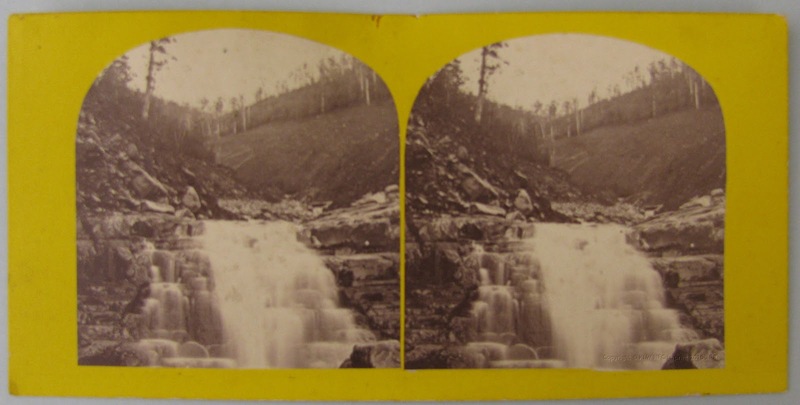 On the following day I examined the banks of the upper part of the river, in the neighbourhood of the falls, and found limestone of palaeozoic age, probably carboniferous, to abound on the Victoria side of the river ; while the Franklin side is more or less covered with drift. From this limestone I obtained some very choice fossils, which in genera and species, in some instances, are very different to anything I have from the rocks in the neighbourhood of Mount Wellington. For the information of geological readers, I may mention that I secured an internal cast of spirifcra glabra, six inches in length, by five inches in width, and four other species spirifera, quite new to me. Also a new ostrea, and a pachydomous, probably new, with several species of pro- ducta, terebratula, and spiral univalve shells, among which are pleurotomaria and euomphalus. In one place the limestone had a parting of blue clay, very rich in impressions of fenestella and other forms of Bryozoa. There can be very little doubt that this high belt of sandstone cliffs owes its origin to the denuding action of the river in ages long past, by cutting its way through the sandstone, which at that time extended over the extensive plateau on the opposite bank, where it has been completely re- moved. The large rounded boulders of quartz and other rock bear testimony to the force and extent of water action in former times ; and I may observe that the fact of the saliferous sand- stone appearing in lofty cliffs on the Franklin side of the river is due to the rock being capped with greenstone on the higher ground, and which protected it from being completely removed. 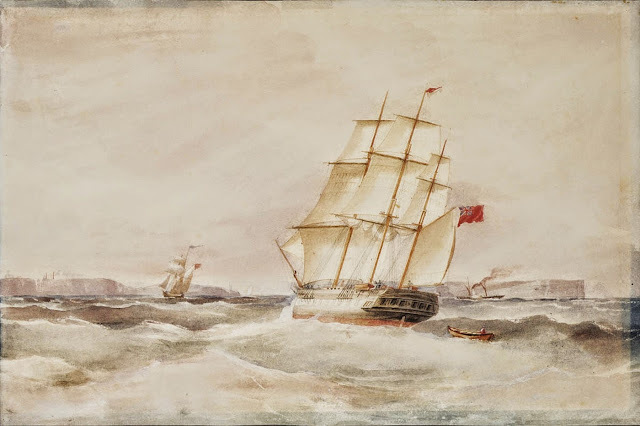 During my stay I heard a good deal from an old prospector about the character of the country in the neighbourhood of the Picton, distant from the Huon forty miles. Had the season not been so far advanced I would have extended my observations to that locality. As it was, I returned to town much pleased with my visit to the salt caves of the Huon. Tombstones copied, Terms: - Cheap!